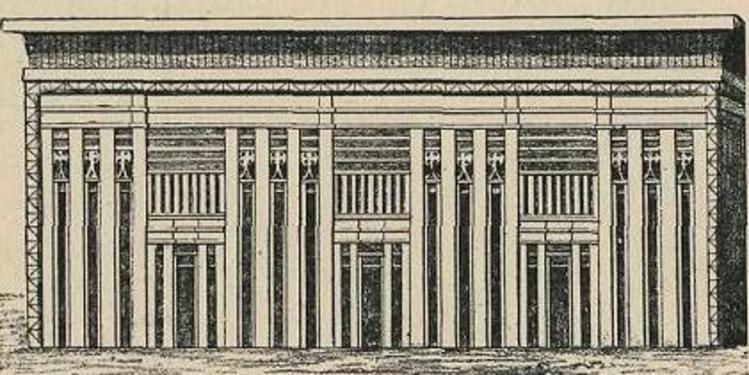 Which raises the possibility the stepped bedrock section of G2 is contemporary with this early phase of temple building and may have been a stand alone structure unto itself. 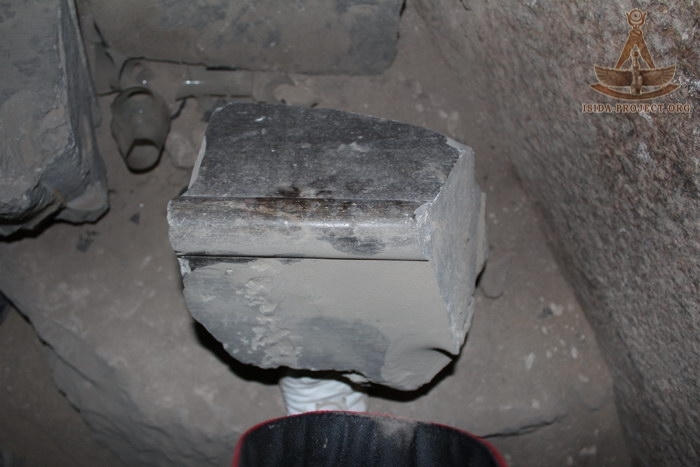 As noted before, evidence suggests the G2 VT was built before the Sphinx temple which the latter was made from blocks taken to make the Sphinx enclosure. 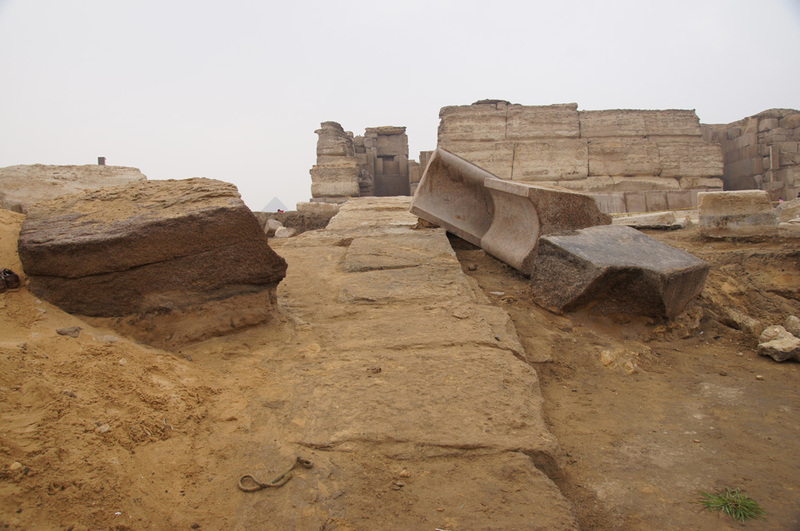 Blocks from the VT retaining wall were cannibalized to build parts of the Sphinx temple outer wall which makes no sense if done under the rule of one pharoah. 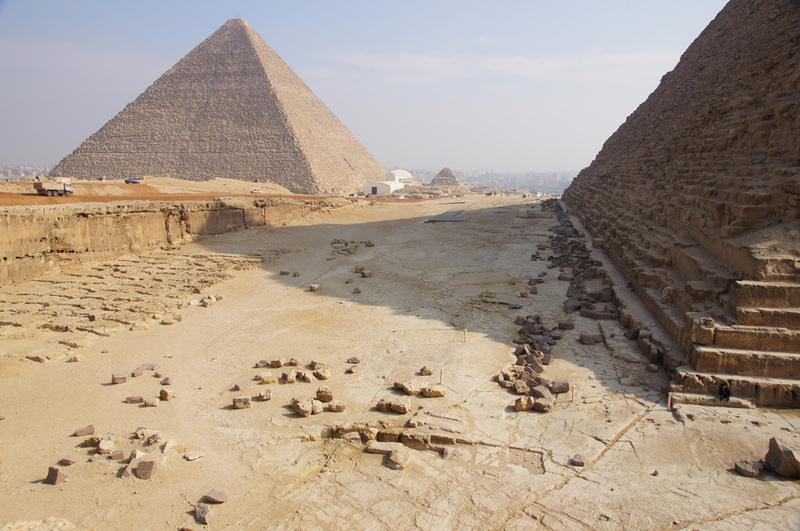 Also to consider is that evidence further suggests the Sphinx temple was never completed with this state of incompletion belonging to the 4th Dynasty. We would further note 4th Dynasty repairs of the Sphinx. 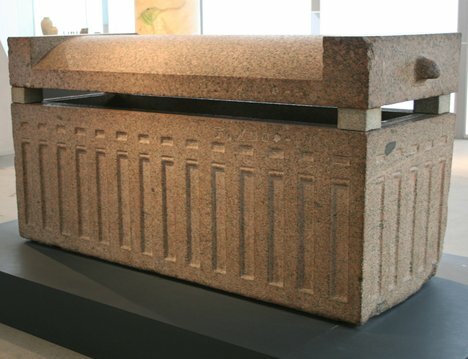 I think it likely the VT granite cornices were painted at some point to replicate the pattern seen in these sarcophagi lids. The appearance of this style of cornice is no small thing and may help date the era of granite restoration though it is worth pointing out that from the MK and onward the Egyptians apparently did not know the VT or Sphinx Temple were there so I think we can rule out this being an even later restoration. Some are quite large and appear to be components of a building. To turn to the MT of G1, a few things that speak to it being a later construction is that for one-it is completely missing. If made of 100 ton megalithic blocks like the others there would be at least something left, but there is not. 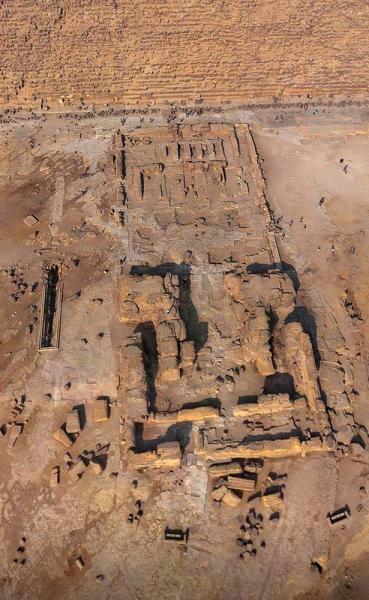 Also, there is evidence a limestone temple was once there, of a size to be completely carted away, that has the prerequisite relief carvings of the Sed Festival which none of the G2 and G3 temples have- damning evidence the latter were not built in the same era. 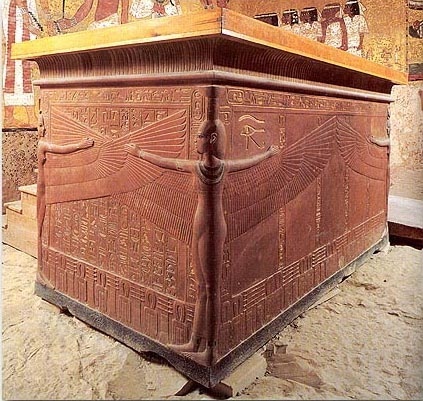 In short, Sneferu and Khufu built Sed Festival relief covered temples, then this supposedly disappears under Khafre and Menkaure, then picks right up again with Userkaf and all pyrmaid building pharaohs thereafter. 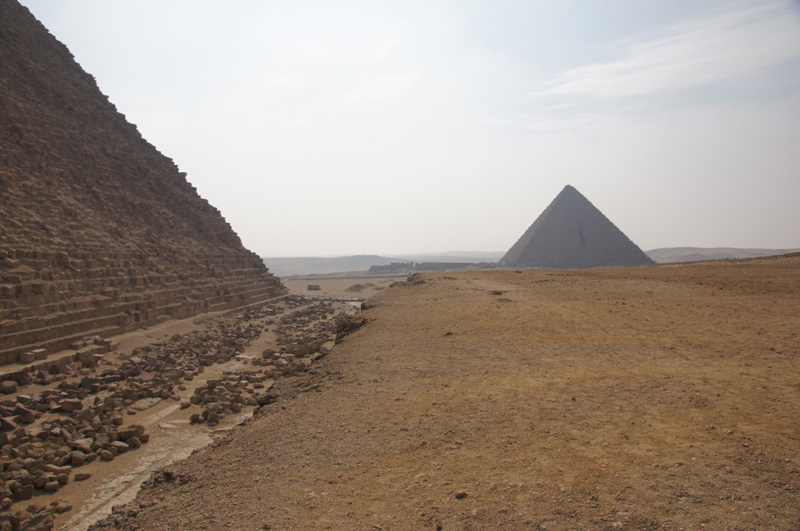 Making even less sense is the argument that the whole reason these pyramids are devoid of reliefs in their interiors is because this is what the temples were for yet G2 and G3 don't even have that! Nonsense. 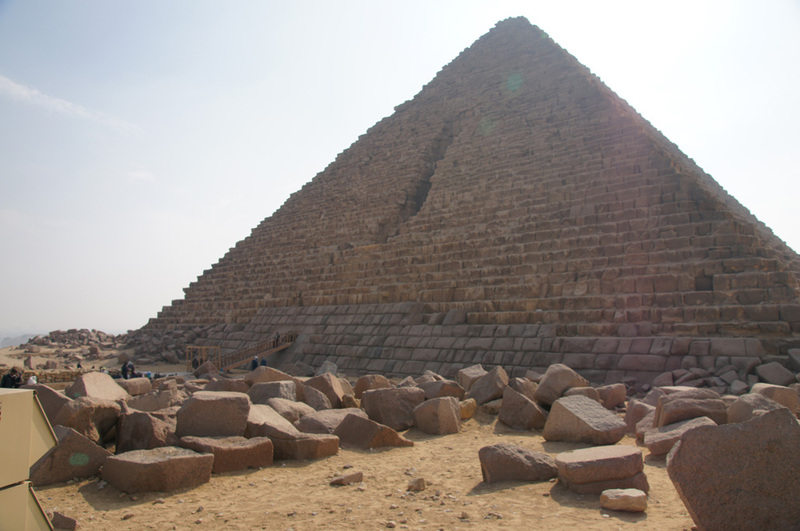 Also to consider of G1's MT is that it was cannibalized as early a the MK in which some Egyptologists believe this process actually began in the OK. And near the G2 and G3 temples were found over 120 statues and unique statue fragments all removed from their respective temples and unceremoniously dumped and buried like trash. Who did this and when? What are we to make of such irreverence? Edited 3 time(s). Last edit at 14-Jun-18 15:33 by Thanos5150.